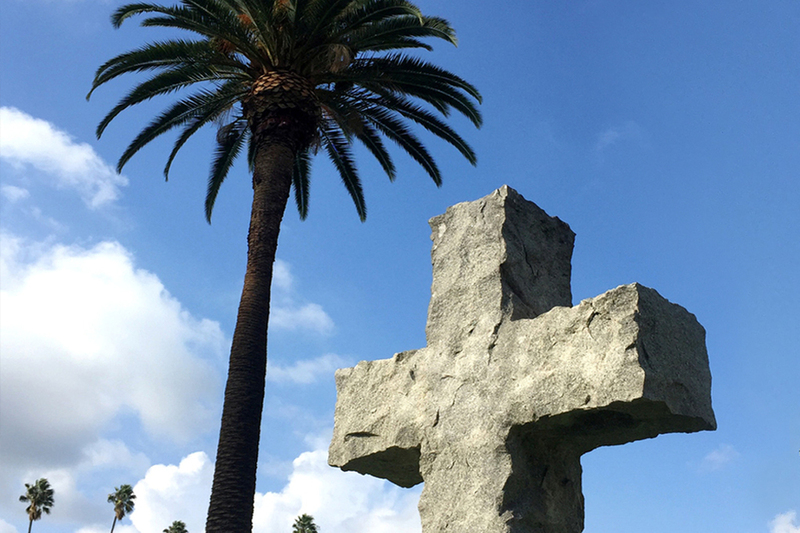 The name alone sets Hollywood Forever apart from any other cemetery and firmly declares it as a cultural landmark that intends to carry on a certain mythical legacy. Countless celebrities from movies and music are buried here and draw a steady stream of devoted fans who want to pay tribute to lost idols. The cemetery also functions as a popular gathering place with concerts and movie screenings taking place regularly across its inviting grassy grounds. It is precisely all of these factors that make this less like a somber cemetery and more like a public garden. 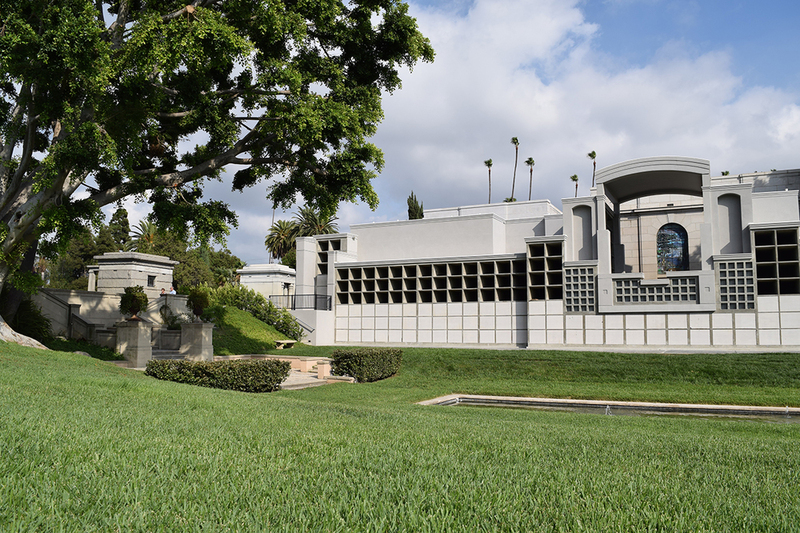 The Hollywood Memorial Park Cemetery was the first cemetery built in Hollywood in the nineteenth century and, because of its location, soon began to include many big names from the burgeoning entertainment industry. Many decades under the ownership of a shady ex-criminal caused the place to fall into disrepair, but in 1998 new owners renamed it and began the task of restoration. Today it is a well-manicured, beautiful property and a major tourist destination. The grounds are populated with towering palm and cyprus trees that add to the dramatic effect of tombstone gray and grass green against the blue LA sky, all of which surrounds the beautiful Sylvan Lake. 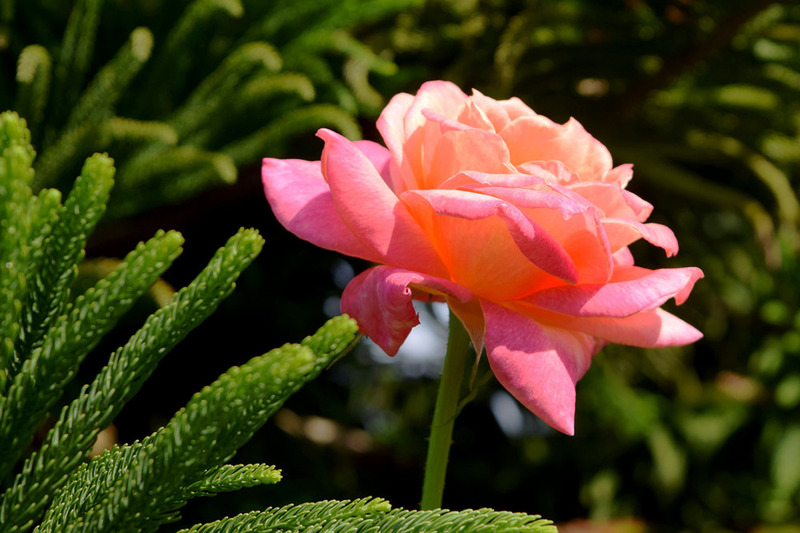 It is quite pleasant to walk through the grounds, admiring notable graves and exploring various nooks and hidden paths. There is even a summer movie festival where films are screened weekly against the walls of the mausoleum, which is apparently very popular. The cemetery hosts other cultural events on its grounds, and so there is the sense that visitors are comfortable to walk throughout the space despite the care and sanctity that a cemetery requires. Throughout the graves, you find stories as varied as the lives who rest there. One of the most moving had to do with the unacceptable exclusion of Gone With the Wind actress Hattie McDaniel during years of segregation. Denied burial at Hollywood Forever despite her own express wish McDaniel, who was the first African American to win an Academy Award, was eventually honored with a cenotaph nestled amongst a cluster of white roses alongside Sylvan Lake.